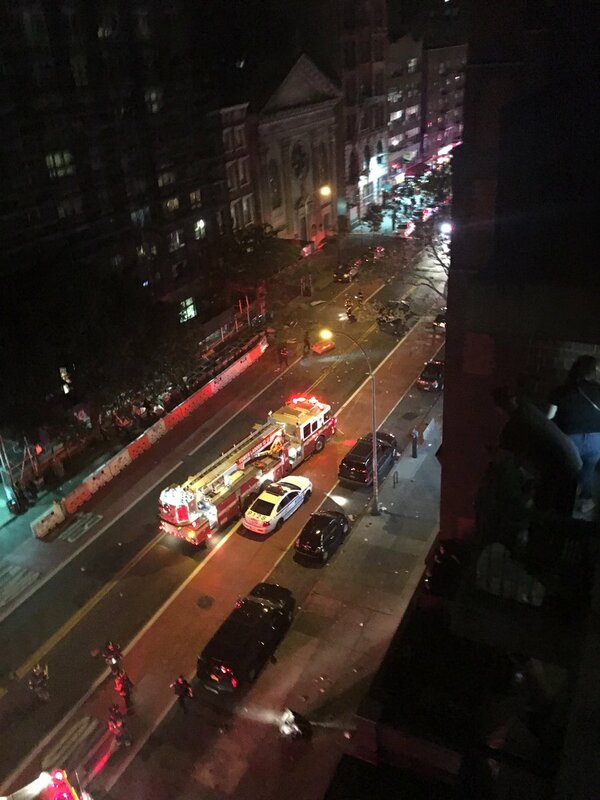 About 2 am (BST), on the 18th of September, a loud explosion was experienced in the streets of Manhattan - New York. According to the police report, "several" people were injured and taken to the local hospital. Witnesses said the loud explosion occurred at the junction of 23rd street, 6th Avenue in the Chelsea neighborhood of Manhattan. The actual caused of this explosion is yet to be revealed. More information to be revealed as soon as possible. Bahman Golbarnezhad, the 48 year old Iranian cyclist has been reported death barely 30 minutes ago following a tragic accident that occurred during the men’s C4-5 road race. Unfortunately this accident happened at the downhill section of the course of the race. The race according to the guardiannews, began at Pontal, including the Grumari Circiut Incorporated, the Iranian athlete was treated at the scene of the accident and then taken to the hospital for further treatment. 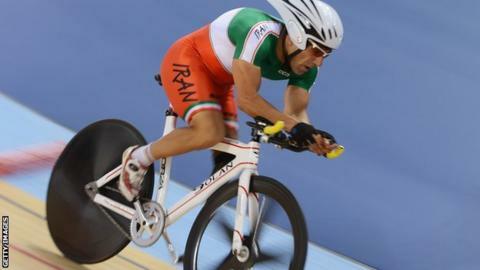 However, the Iran’s national Paralympic committee later announced the death of Golbarnezhad this evening, followed by the breaking news on 4hd live Paralympic Games; where is was formally confirmed that the athlete dies of fractures to his neck. Honouring to his life is to be held about 6pm (Brazil time), at the athletes’ village. This would be drawing some level of sadness tomorrow as the final ceremony is due tomorrow, but it would be a big lose to Iran and Bahman’s family above all. At the age of 3 what were you able to do by yourself? Imagine as a parent, you drop your toddler off at a nursery; although this topic calls it "school", and then you are told that he drank 'caustic soda!!! ', and is dead. This incident is beyond imagination and I strongly wonder what the standard of this so called school is. Is any child safe to be left in this "private" school? What are the staff like? what training have they undergone? Are they really qualified to be employed to care for children? I do not understand how a toddler could reach a bottle of soda, neither can i understand the need of caustic soda in the learning environment for toddlers. According to Daily Post, the toddler had undergone six different surgeries, and still died. It also added the bitter bereavement of the toddlers mother, but surprisingly, nothing was done or is yet done in regards to the school authority where this drastic incident happened. “There was a full investigation. But because there was no hard evidence, it became difficult to take the issue up legally. We combed the premises of the school and nothing was found, probably because time had elapsed and the school might have cleaned up,” Mujota said. I cannot begin to imagine what this toddlers parents would be feeling, but one thing I believe is that the Local Governments are neither protecting their citizen nor providing for them. This kind of atrocity can only happen where the system has allowed it. Lack of payment of salaries by Government and Private Firms is continuously leading staff toward unimaginable behaviours and deals; for example, staff who should be supporting and caring for the pupils at schools become traders within the school premises. All dealing on their own personal interests. Enough is Enough! How many more of this must the Government entertain? Finally we can all relax again. The murderer is back behind bars. Stuart Brown had earlier yesterday assumed himself to be invincible, but thanks to the effort of the community policing. The Lincolnshire police have this morning confirmed that the convicted murderer who had escaped yesterday- Friday 16th Sept 2016 from the Freiston Shore Facility has been found and arrested. 59 years old Stuart Brownhill, was noticed missing from the North Sea Camp during the roll call. He had been jailed since 1985 for the murder of Lynne Taylor in Manchester. The news of a convicted murder on the loose, I must say gave a lot of people the shocks and shivers, however, the police did not stop until they arrested him and taken back to custody. Superintendent Timmins, acting community policing superintendent for Boston, East Lindsey and South Holland, appealed publicly, directing his speech to Stuart to give himself in. He appealed in these words; “I appeal directly to Stuart to get in touch with us,” he continued to say; “I also ask for anyone who knows where Stuart Brownhill, who is described as 5’ 8” tall, bald and has one green eye and a blue eye, is to call us”. Recently it has become known to the US state of Georgia, that clowns are becoming increasingly unbearable, both by their behaviours, appearance and words. Very recently in August, an apartment in Greenville, South Carolina sent letters to its residents warning them about a clown trying to lure children into the woods. Again in September, a residents of Winston-Salem in North Carolina said a clown was offering children sweets to go off with him. Some eye witnesses described the clown as dressed in white overalls and had red, bushy hair and a red nose, ran off when officers arrived. Georgia police say they have received calls from anxious parents about clowns trying to talk to children. There have been investigations by the LaGrange police, showing an online threat by clowns to abduct kids from local schools. In a statement on Facebook, LaGrange police said: "We've received several calls about clowns in a van and in wooded areas trying to talk to children. A Russian cyber espionage group has been condemned by the World Anti-Doping Agency (WADA) for hacking into its database and stealing information about US Olympic stars. The bad news carriers are at it again! Only this time the news being spread around are all false and are with the intent to cause malicious harm and damage of peoples' careers. A Russian cyber hack group, calling itself "fancy bears", have been condemned by World Anti-Doping Agency (WADA), for illegally accessing confidential medical records of Serena and Venus Williams, alongside Simone Biles, the Olympics gymnast and publishing online. According to fancy bear, the three ladies had been doping before their Olympics record set; but WADA says the ladies were officially cleared of the substances used.